HarvestWild has done the research for you to find some of the places we would recommend staying. Please see below, let them know you are with HarvestWild and enjoy your stay! Sheraton Hotel at the Sundial Bridge! When booking with HW you can also enjoy corporate discounts with the Sheraton! Call us for the Code! Guests will enjoy their world-class amenities, including complimentary wireless High Speed Internet Access throughout the hotel and computer access in the lobby. Work out in the 1,200-square-foot Sheraton Fitness center and relax in the large outdoor swimming pool and Jacuzzi. HarvestWild clients get access to the Corporate Club Lounge and Corporate Rates! $99 Rate - Call to book! Just let them know you are with HarvestWild. Check into the Gaia Hotel and Spa and enjoy upscale accommodations in a serene, comfortable setting. Overlooking the Sacramento River, the boutique Redding hotel is green certified and features beautifully-appointed, contemporary, oversized guest rooms. Enjoy free Wi-Fi, great views, large work areas, plenty of living room space and premium cable television. Pet friendly! Enjoy a 15% discount when you say your with HarvestWild! With convenient access right off the I-5 freeway, Hilton Garden Inn is a great choice for easy travel around town and to the many Redding area attractions. This Redding, CA hotel offers guests a great array of convenient features, including breakfast, lunch and dinner in our Garden Grille and Bar. If you want to book online the link to the discount is attached to the button below or call and mention HarvestWild. Find adventure, fun and relaxation at this beautiful 3 story, 3 bdrm, 3 bthrm cabin. Features rustic decor, a breathtaking deck with outdoor seating, 60 inch TV, granite in the kitchen, a custom log table to fit all family/friends, quality/comfortable beds and a 5 minute walk to see the river. Our guests always say, "It's one of my favorite places to retreat to!" $20-25 Discount - Tell them you are with HarvestWild and let them know you are their to Fish! Have your Fishing License in hand. 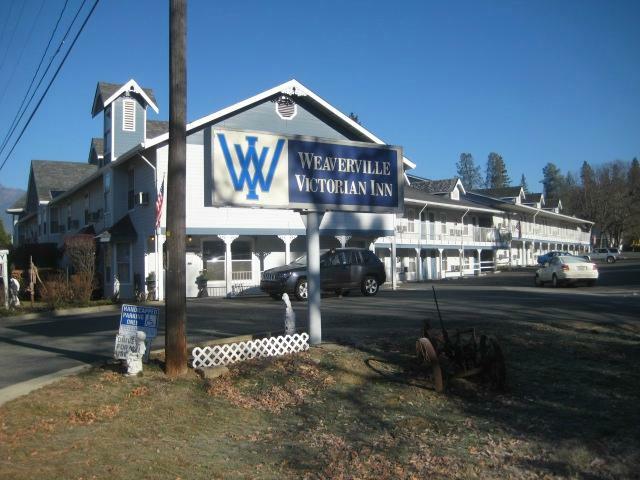 Located right on main street in Weaverville. Simple bedroom set up with comfortable beds, hot showers and tv! Call to book. The Green Gables Motel & Suites is well-known for its unique style and ambiance. Each room has a gable covered porch looking onto the central court. The property is a AAA approved hotel surrounded with mature pine trees and offers a large grass picnic area and propane BBQ’s. They pride themselves on offering three star lodging service: clean, comfortable and reliable accommodations. Note, currently no discount offered. When you plan your next hunting, fishing, family vacation make the Fall River Hotel & Restaurant your choice for lodging in the Fall River Valley! Built in 1939, the Fall River Hotel is located in the center of Fall River Mills California. They are open year around and would love to host your next vacation or business trip. Note, currently no discount offered. Our beautiful wooded location offers RV & tent camping, luxurious camping cabins, comfortable motel rooms and cozy yurts. Hat Creek's wide range of accommodations offers something for everyone. Note, currently no discount offered. 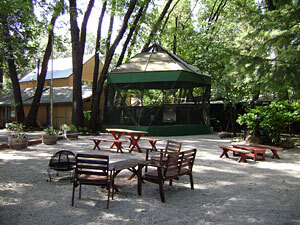 Cave Springs is one of northern California's best green motels and resorts! They've made substantial energy efficiency improvements to reduce their resort's carbon footprint and resource use. Note, currently no discount offered. 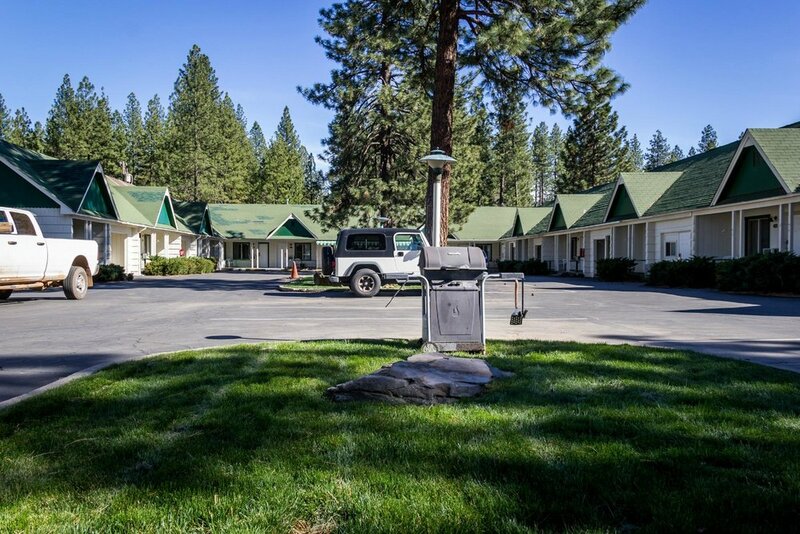 The Cedar Lodge is located on large, tree-shaded, landscaped grounds with adequate parking, and a picnic and barbecue area, in the northern part of beautiful and historic city of Dunsmuir, just off exit 732. Note, currently no discount offered.